N-Type's long dormant Terrain label rears it's gurning mug for two old-skool 'ardcore rinse-outs. 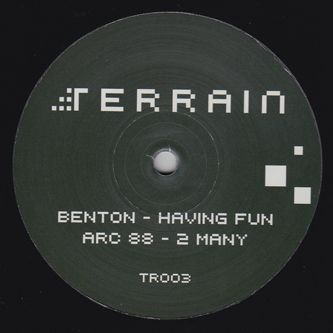 A-side Benton is on one with 'Having Fun', turning out warehouse-igniting breaks and loadsa Reese bass pressure. 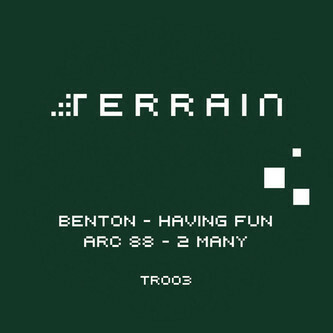 Arc 88's '2 Many' takes the flipside with a more gully kind of 'ardcore tuck and roll techniques with a wicked robo-ragga vocal. Tuff.